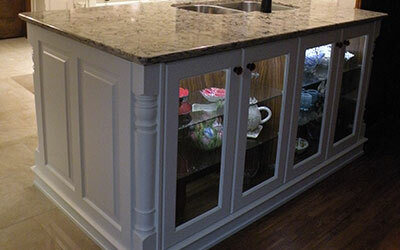 Beauty, quality and service are the hallmarks of Wood Valley Kitchens, where custom kitchen cabinets in Hamilton are crafted with old world charm and an eye for detail. 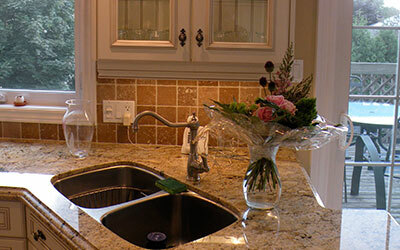 A wide selection of woods, custom finishes, professional designers, and access to the best accessories have made WoodValley Kitchens one of the area’s leaders in providing custom kitchens cabinets in Dundas, Hamilton, Ancaster and Burlington since 1992. For many years running the Dundas kitchen company’s stunning designs have captured awards in The Hamilton Home Show including ‘Best Overall Booth’. Love it! Ray and Olga were great partners to take our kitchen from concept to creation. Ray had great ideas regarding both aesthetics and utility of our space. Working with Olga to add the details that make the design ‘sparkle’ was both fun and interesting. 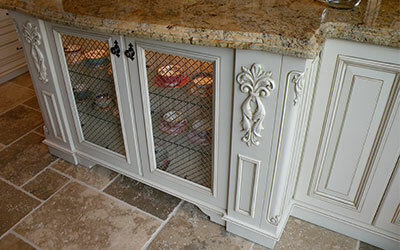 The attention to detail in cabinet making, right through to installation, is obvious. Thank you, we are so pleased. We are so happy with our new kitchen and wouldn’t change a thing! We’ve shown it to lots of friends and family and have highly recommended WoodValley Kitchens to them. We’re using the kitchen alot! I haven’t done this much baking in a long time. It’s such a joy to use.